Do you know a barren spot of public land that could use a tree or two? Let us know where trees are needed. Recommend a piece of public land that needs a tree. Arlington County is striving to increase our tree canopy by facilitating the planting of trees on private property through two programs: the Tree Distribution program and the Tree Canopy Fund. The Annual Fall Free Tree Distribution allows residents one free tree per residential property. The Tree Canopy Fund provides for planting trees to restore and increase Arlington's tree cover, giving grants to community groups to plant and maintain trees on private property. 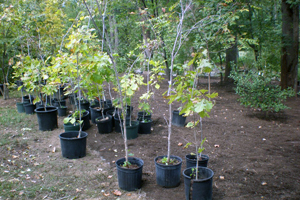 Arlington County provides a variety of native tree species (free) for residents each year. 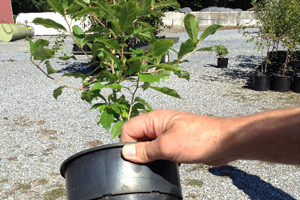 Learn how to register for a free tree. The Tree Canopy Fund gives grants to community groups to plant and maintain trees on private property. 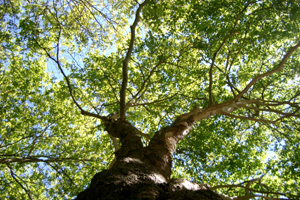 Learn more about the Tree Canopy Fund.